Blue Martini is the perfect place to have your holiday party! All Blue locations are accepting holiday party bookings and if you book in advance, you will receive a $100 gift card! 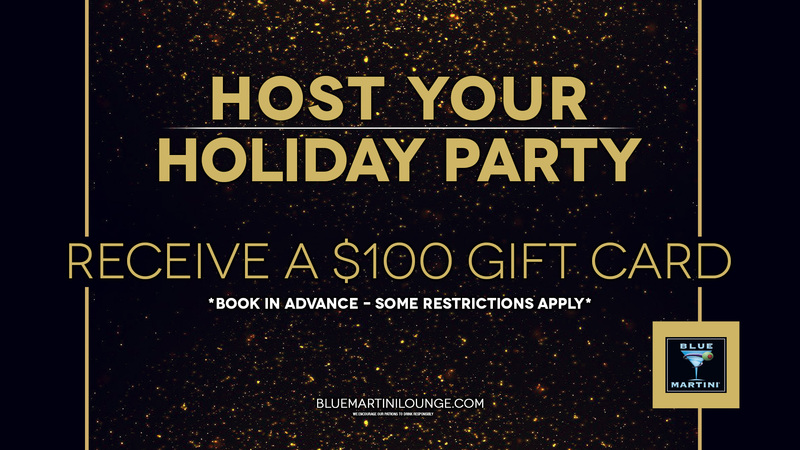 Whether it’s an intimate event of close friends & family or a gathering of 1,000 – Blue Martini can handle all of your holiday needs! Our private party menus include VIP Blue, VIP Diamond and VIP Sapphire per person menu options, specialty platters for 20-22 people, butler passed hors d’oeuvres, dessert menus, drink ticket and open bar options and a full scale catering menu featuring pasta stations and carving stations for 100+ guests. This holiday season, give the gift of Blue. 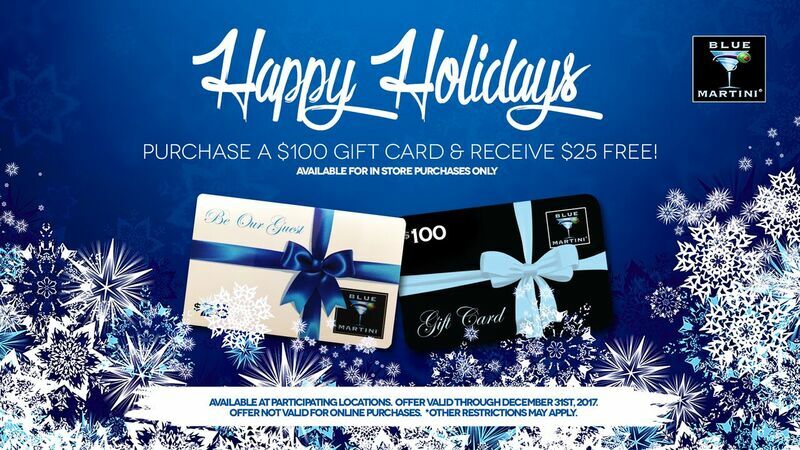 All Blue Martini locations (excluding Lake Charles) will be offering our annual gift card incentive. Purchase A $100 Gift Card and Receive $25 FREE! This is available for in store purchases only. All Blue Martini locations are having big New Year’s Eve parties with a countdown to New Year’s Eve, sparkly champagne toasts at midnight and hot entertainment all night long! Visit your Blue Martini location’s page for more details.